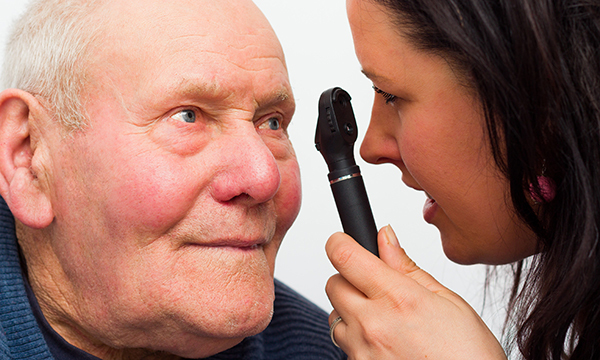 Visual impairment is common and often underreported by older adults. Poor vision affects quality of life and is implicated in problems such as falls and confusion. Many visual problems, such as cataracts, can be treated. This Cochrane systematic review investigated whether population screening for visual impairment was effective. The review included randomised control trials of vision screening (either alone or as part of a wider screening package) compared to usual care or no screening for people aged over 65 living independently in the community. The screening tool could be visual acuity testing or self-report. Ten trials with visual outcome data for 10,608 participants were included in the review. Seven trials were of multicomponent screening and three of visual screening only. Participants had been followed up at different time periods from one to five years. The meta-analysis of data in six studies showed that there was a similar risk of 'not seeing well' at follow-up in people screened compared with people not screened. One trial found the screened group reported improvement in vision slightly less frequently than those not screened. Another study reported that distance and near visual acuity was similar at follow up, as was quality of life, in those screened and not screened. One explanation for the lack of effect was that those not screened sought help for problems independently. The evidence does not support population vision screening for older people living independently in a community setting. Clarke EL, Evans JR, Smeeth L (2018) Community screening for visual impairment in older people. Cochrane Database System Review. CD001054. doi: 10.1002/14651858.